Dutch designer Sanne Visser has created a super-sturdy rope from discarded human hair that can be repurposed in the form of netting, bungee cords, belts, bags, and more. In her project “The New Age of Trichology,” she points out that as the human population continues to rise, so will the amount of waste hair that piles up in landfills. Instead of leaving hair in the environment to slowly decay, she believes it can be harnessed as a renewable resource and made into useful new materials. The hair is collected shortly after being cut from its owner, and then spun into 2-ply yarn before it’s woven into ropes. From there, the ropes are transformed into any number of useful items. Unfortunately, the process is limited at the moment to the clippings Visser is able to obtain. In order to put her designs into production on a wider scale, a waste management system would have to be implemented in barbershops and salons to collect the hair so it could be repurposed. Practical challenges aside, it’s an interesting and innovative idea, and we loved the sample products we saw at Designersblock at the London Design Fair last week! 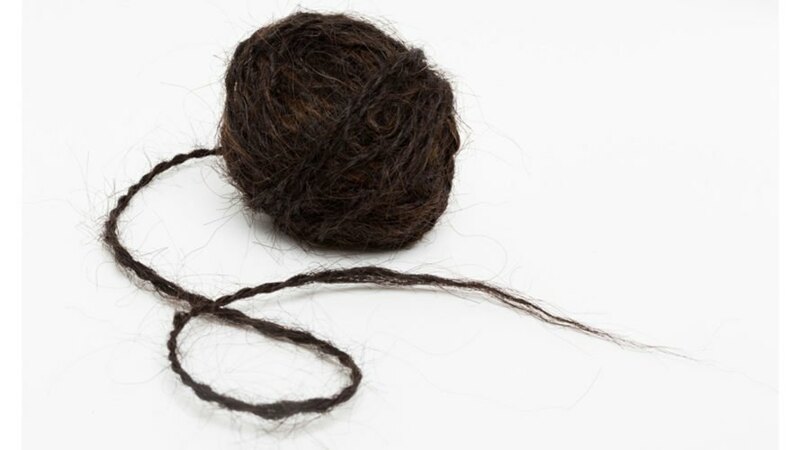 Yarn made from human hair. Human hair sack by Sanne Visser. 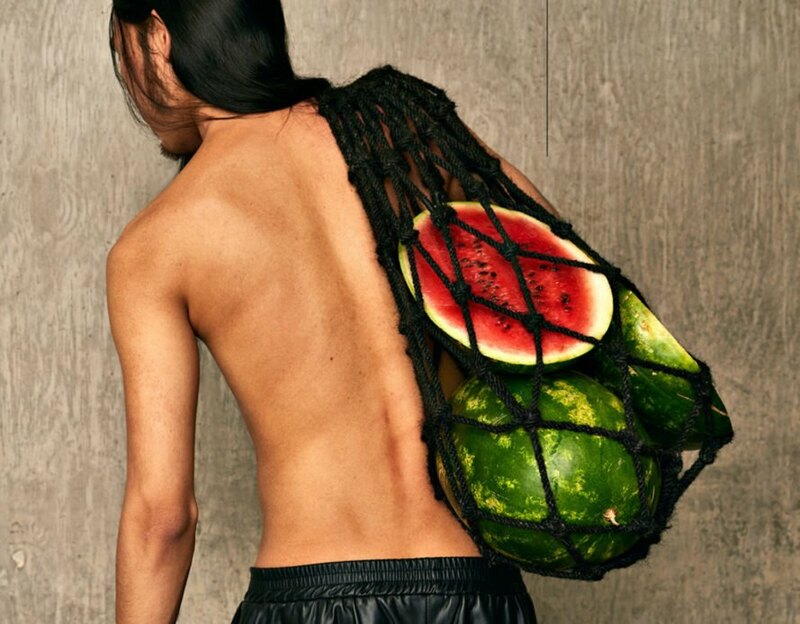 This super-strong rope is made from repurposed human hair. Practical challenges aside, it’s an interesting and innovative idea, and we loved the sample products we saw at Designersblock at the London Design Fair last week.